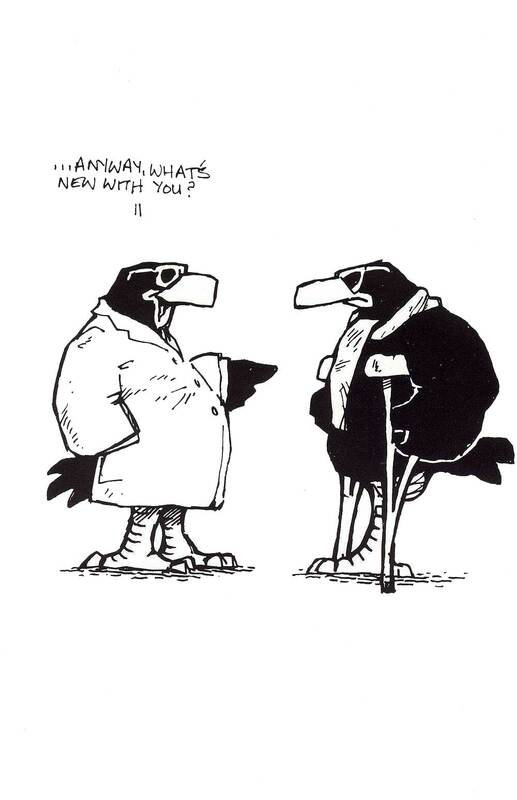 A few weeks ago, pretty much out of the blue, Ian Presuming Edmondson sent me a copy of “A Murder of Crows” by Edward Barker, who was a former Editor of International Times along with Mick Farren. Only five hundred numbered books were printed and finding a copy is pretty impossible. Hopefully we will be putting the whole book up on IT online magazine over the coming weeks. 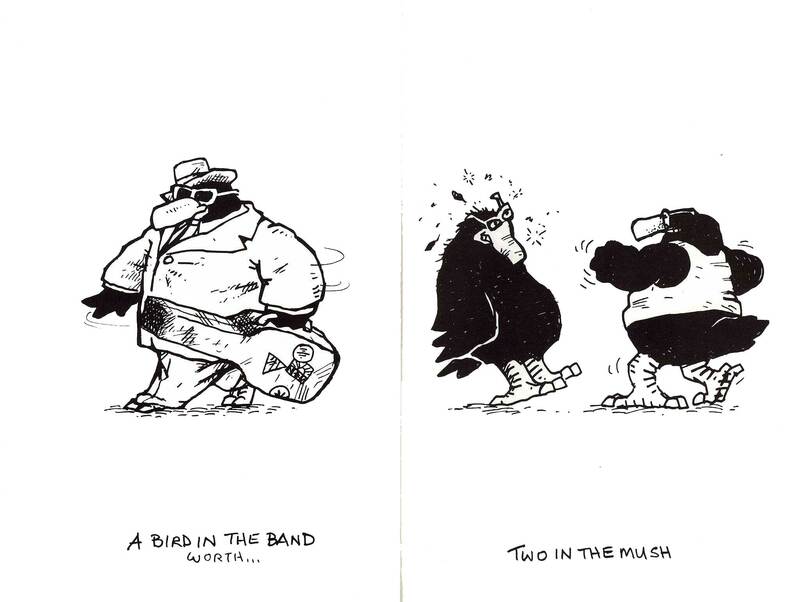 In our opinion Edward Barker was the greatest British underground cartoonist. So we continue with series two of the book. Four more cartoons from the magic pen of Edward Barker. 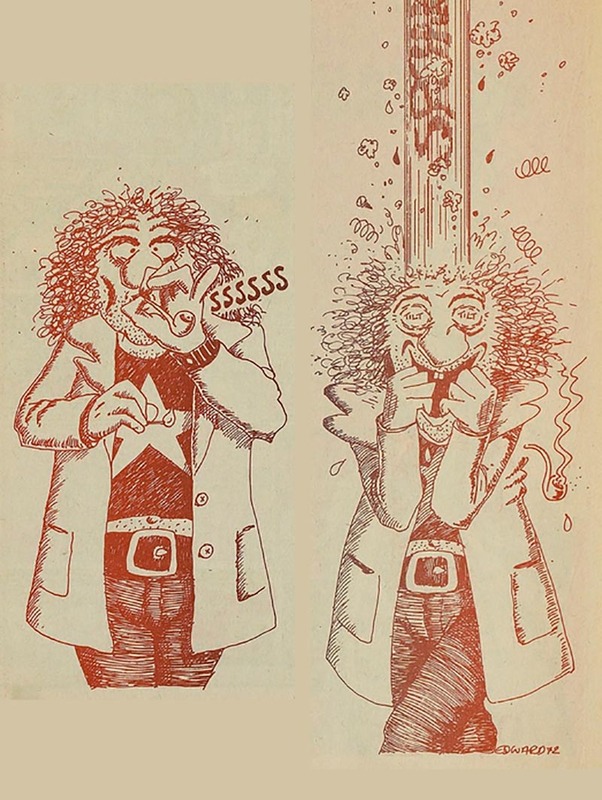 So here go with part 5 and three more fantastic cartoons with an extra cartoon of Mick Farren and Edward Barker on leaving International Times…. 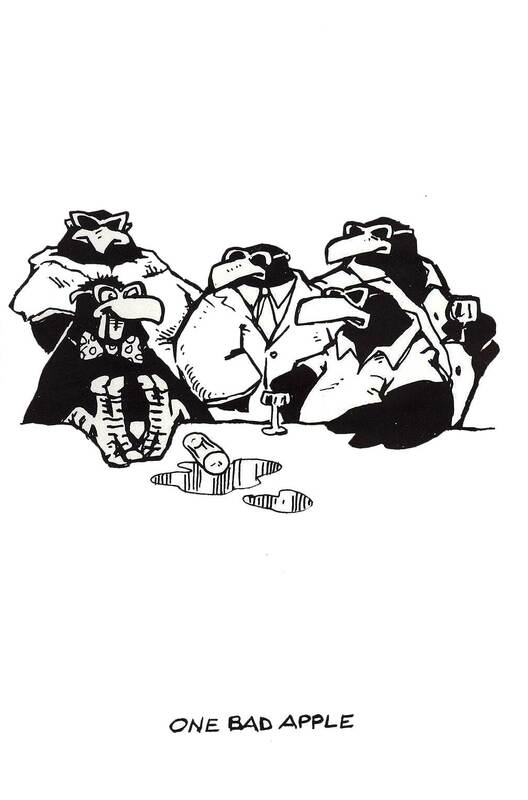 This entry was posted on 20 April, 2017 in homepage and tagged A Murder of Crows, Edward Barker, English comix, underground comics. Bookmark the permalink. Hells bells,Edward,I just looked him up – curiosity and mortality being what is – and find he’s been dust for some twenty years. A great talent and very much a child of his time.